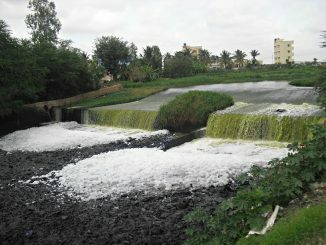 The planned sluice gate began its final run on August 8 in Bellandur lake to block froth from entering the city’s waterways, and irrigation tanks in Kolar. This was preceded by preliminary runs by BDA officials to determine the height of the gate, quantity of weeds, and froth to be removed. 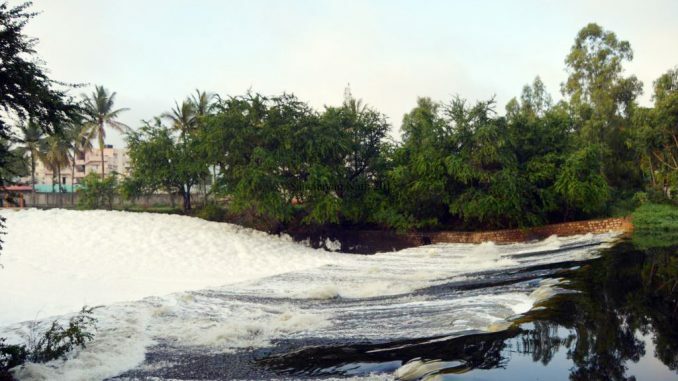 The first test installation had taken place in July despite the expert committee (instated by the National Green Tribunal) not supporting the particular method of froth removal.The Rs 22 crore project that included works at Varthur Lake too was put on hold to finish work on Varthur bridge. Over the last fortnight, BBMP monitored the lake with drones to identify miscreants who dump garbage. Marshals (former army men) guarding the lake will soon be equipped with high-end binoculars and watch towers to be set up at a cost of Rs 70 lakh. On August 10, the High Court instructed the BBMP to finish removing all flexes and banners for good by August 14 across Bengaluru. The civic body claims to have done away with 90% of the flexes during their current drive. Two technology-based solutions have been adopted to deal with the menace. Firstly, BBMP officials are going to have access to a database on legal hoardings within each locality, and will immediately report any structure not on the list through the app. Digital billboards including those showcasing movie trailers will be installed in designated spots, strategically placed to avoid distracting commuters. Advocate Udaya Holla assured the court that 223 cases were registered by the police in the first week of August under Section 3 of the Karnataka Open Places Prevention of Disfigurement Act, 1981. The crackdown comes with a loss of revenue: Rs 39.01 crores of earnings from hoardings in 2016-17 dipped to Rs 27.02 crores in 2017-18. 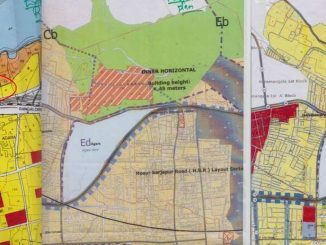 In 2015, a single judge bench of the Karnataka High Court denotified the land on 1800 odd sites located in 17 villages falling between Doddaballapur Road and Hesaraghatta Road. The decision was taken by the court after 1500 land owners took objection to BDA’s decision to form Shivaram Karanth Layout with 45% of land used for beautifying civic infrastructure. When the BDA went to the SC to contest the High Court judgement, the apex court issued the final notification recently to go ahead with the layout’s formation, and appointed retired Karnataka HC Justice KN Keshavanarayana to prepare a final report on the matter to prevent further mismanagement by local administrative bodies. The Anti Corruption Bureau had alleged that former CM Yeddyurappa had denotified 257 acres of the layout. Varun Ramakrishnan, a class 12 student, and Shiv Shankar, the chief data scientist of mapshalli.org, have together come up with a crowd-sourced data platform AirCare Network to monitor PM 2.5 levels at seven crucial spots in Whitefield. Doddanekundi and Thubarahalli areas will also be included. Low cost laser sensor devices costing Rs 6000 are currently placed at Ferns Paradise, Pride Orchid, Siddapura, Prestige Lake Vista, Palm Meadows, Whitefield road, and GIL junction to record real-time data 24/7. Only WiFi and electricity connections are needed to eventually store the information in a cloud that can be accessed by commuters on an hourly basis. The analysis showed PM 2.5 levels of Graphite India Junction to be at the level of 255 micrograms per cubic meter, the highest compared to all other monitored locations. Citizens grew tired of Karnataka State Pollution Control Board’s apathy and decided to record the live data of air-quality to take necessary action in court. During the current mid-monsoon season, BBMP’s Storm Water Drain department has marked 259 encroachments with high vulnerability to flooding. Overall, 2087 encroachments were found at different stages of the new survey that kicked off first in KR Puram. After hue and cry from land-owners and staff shortage in 2016, officials are cautious this time around in studying and removing the encroachments with the guidance of ward engineers and zonal officers. Eleven surveyors in each taluk from the Department of Survey and Land Records have been entrusted with duty of conducting the resurvey. Gaurav Gupta, Principal Secretary of the state’s IT department said that all ‘hurdles’ have been cleared to provide free WiFi hot-spots in 2000 key hubs in Bengaluru within the next three months. The existing telecommunication infrastructure could be used, but if new poles are needed by establishments or vendors, they have to coordinate a price with BBMP, explained Gupta. Minister KJ George had a talk with BBMP Commissioner to push the project forward, and differentiated between electric polls covering smaller areas from huge telecommunication towers. The Government of Karnataka has to now approve the BBMP’s proposal to charge Rs 50,000 yearly as ground rent per tower. In early April 2018, the High Court had instructed KSPCB and BBMP to monitor waste processing plants in the city’s periphery with CCTVs, marshals, engineers to ensure workers safety and lessen environmental degradation. Four months later, the seven units (Kannahalli, KCDC, Sigehalli, Chikkanagamangala, Doddabidarakallu, Subbarayanapalya, and Lingadeeranahalli ) collectively having installed capacity to treat 2100 tonnes waste, are processing only 450 tonnes of wet waste per day. The reason is attributed to the lack of segregation and sending mixed waste to landfills, coupled with corruption in the operation of tipper lorries without categorized vehicles for wet-waste transportation. News Compiled by Seema Prasad. 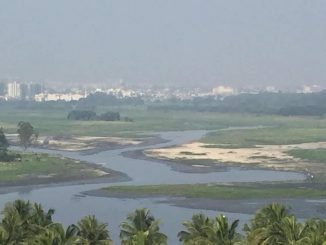 Without fixing the three malfunctioning sewage treatment plants that keep Bellandur lake polluted, BWSSB has called for tenders for a new Rs 250 crore STP for the overflow water going to Varthur lake. The central Environmental Ministry watchdog office in Bengaluru is so understaffed that they are signing off compliance reports without even inspecting sites. This is one of many reasons this 72-acre realty project is proceeding despite major violations. From Bellandur lake rejuvenation to BMTC’s online passes, news about the city from last week that matters to you—all in one place.